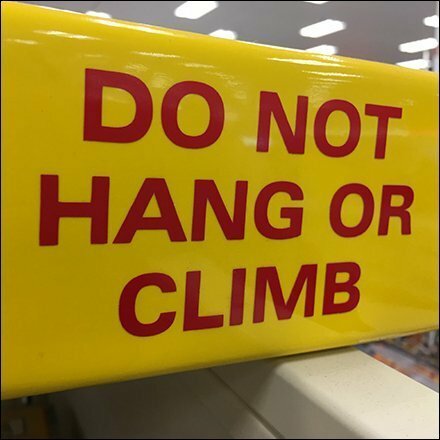 This Do Not Hang or Climb On Legos Warning is printed directly on the Giant Lego Sliding Board in-store display. Who would even want to? Everyone passing by, including me! Of course adults are in control and restrained. This warning more for children and their parents. This Do Not Hang or Climb On Legos Warning seen at at Target, Rockaway TownSqaure Mall.